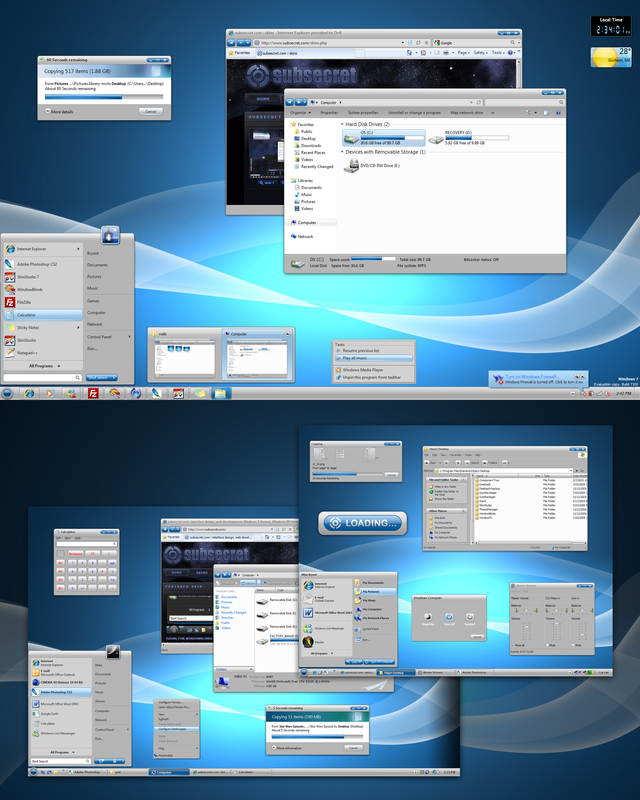 Alpine is a full featured WindowBlinds skin with substyles for Windows 7, Vista and XP. Looks nice, if I'm ever able to download it(file not found). great job, as usual, mikey! come on, fellas! i'm getting an error 404 when trying to get the skin by clicking on the link in the email. Looking into the download error now. It looks great, but I'm a bit worried about purchasing this for Win 7. Is this old UIS? Will it have issues with programs that have transparent areas or small window palettes? I just purchased this skin but am unable to download.Comes up 404.file not found. It is now working, and a tasty skin it is! Mike...Love the skin! But can you look at the last entry in this post tell me if you have any idea why this is happening? Surj, I'm not sure of the issue you're concerned about. I'm going to update one of my free skins next (StealthOS), so if you'd like, you could wait and try that on Win7. If that doesn't have any issues, then this won't either. Everything should be working now as far as downloads goes. Thanks for your help, Island Dog.